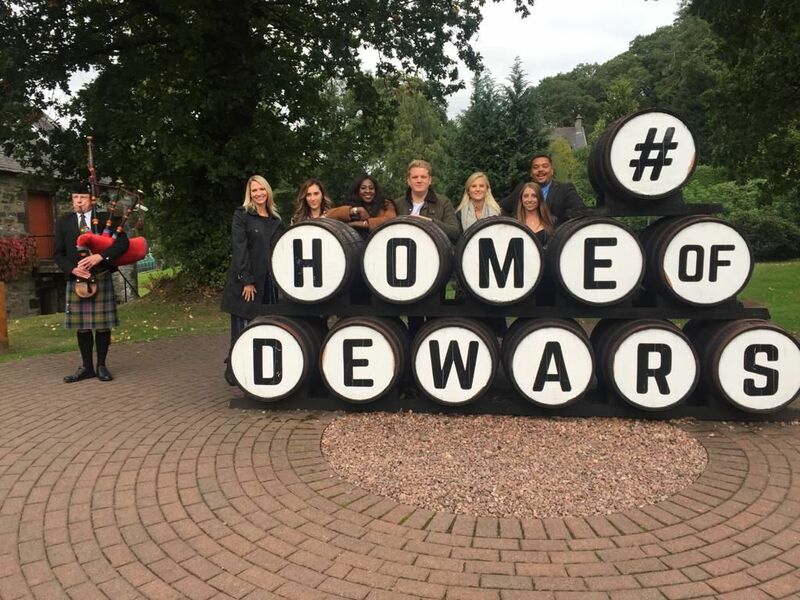 We all know that it can be extremely difficult to create that memorable event, constantly coming up with something a little different your delegates will enjoy, well look no further because I have found a real gem in the Scottish Highlands that won’t be forgotten easily; Dewar's Aberfeldy Distillery. Firstly we checked into a beautiful B&B, Fernbank House, about 5-10 minute walk away from the distillery, a stunning Victorian style house with amazing views, run by our lovely hosts, Jason and Tina. All bedrooms are classically furnished with some variety in layout meaning they can accommodate singles, families and groups. As well as being a gorgeous ‘home away from home’ Jason also runs an outdoor adventure company meaning you can add white water rafting or hikes with incredible views on to your event. After settling in we then left for the Dewar's Aberfeldy Distillery showcase. On arrival we were greeted by a traditional bagpiper and lead into the building where we were treated to bespoke whisky cocktails. We were then showed around the venue including the museum, a super interactive space where you can even blend your own whisky. For corporate events there is also a cinema room which can be used for presentations or meetings. The tour of the distillery was jam packed full of information, our guide really knew her stuff and could answer any questions thrown her way. It’s a real sneak peek into how Dewar’s make their whisky, we even got to taste the whisky straight from the cask. 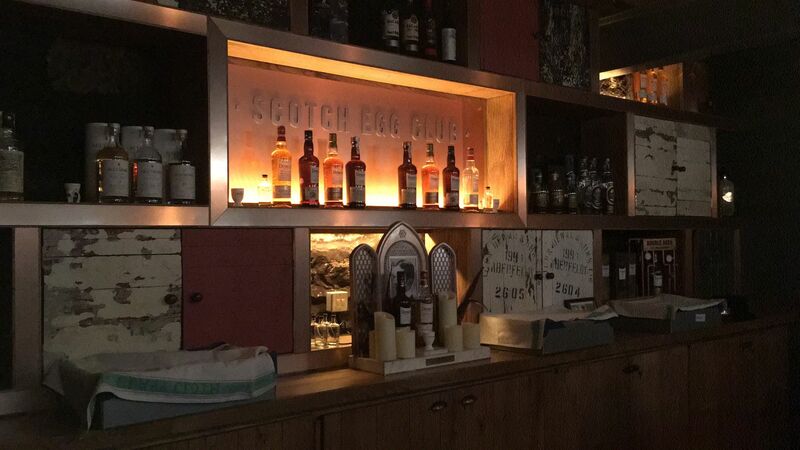 After walking through the warehouse we were then lead into a secret bar, The Scotch Egg Club, that has a speakeasy, VIP feel. It’s the perfect place for a drinks receptions accompanied by whisky and chocolate pairings. The showcase was catered by Season, a high standard catering company who provided amazing veal sliders, chilli prawns & satay chicken, everything was beautifully presented and tasted fresh and full of flavour. All their ingredients are locally sourced and it had a cool street food vibe to it. The whole evening was a fantastic experience from start to finish and I will certainly never forget it. Give your attendees something different, get treated to some great Scottish hospitality with a twist. 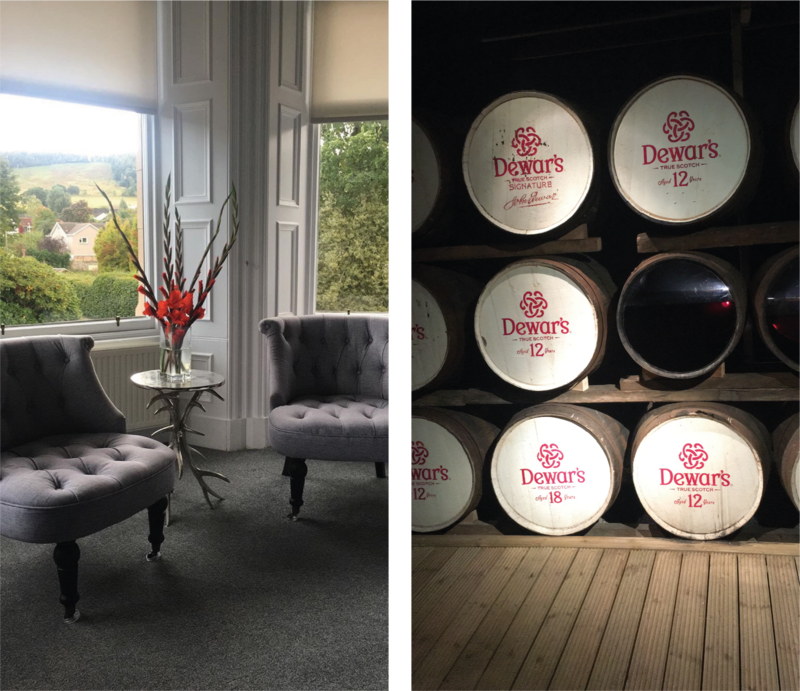 From private dining, to team building experiences and smaller meetings and conferences Dewar's Aberfeldy Distillery can provide a bespoke event for every client.